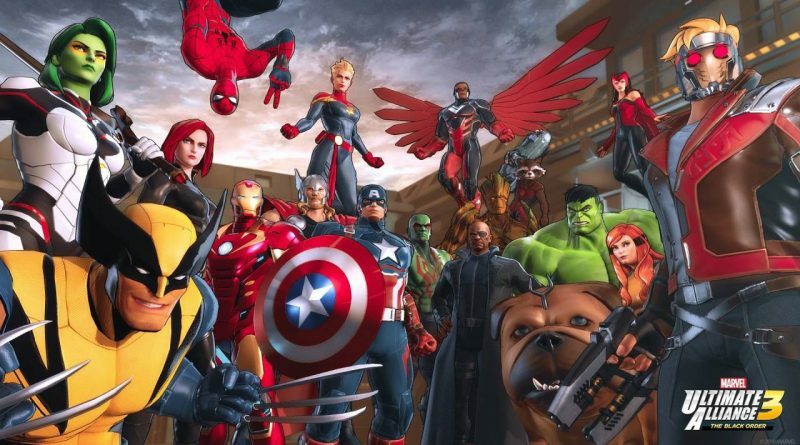 Nintendo announced today that Marvel Ultimate Alliance 3: The Black Order will launch exclusively on Nintendo on July 19, 2019 via the Nintendo eShop and at retail for $59.99. The Marvel Ultimate Alliance series returns for the first time in 10 years – with a new action RPG – exclusively on the Nintendo Switch system! Get closer to the action by shifting the view to an over-the-shoulder “Heroic Camera” perspective – a series first that offers a more immersive way to play single-player or multiplayer on up to four systems. Play online, offline via local wireless, or simply pass a Joy-Con controller to a friend, so they can join your team. With another pair of Joy-Con controllers (sold separately), four players can team up on one system! The drop-in/drop-out co-op possibilities let players create their own “Ultimate Alliance” at will. Assemble your dream team of Super Heroes from the Marvel Universe, each with their unique superpowers. The Guardians of the Galaxy, Captain Marvel, Falcon, Scarlet Witch and more join the “Ultimate Alliance” for the first time. Super Heroes and Super Villains battle Thanos and The Black Order across the Marvel Universe in this new original story. The game can be played offline or online with up to 4 players on a single screen or using multiple systems. In addition to the series’ traditional perspective, players can also select a dynamic, zoomed-in view, allowing for a more immersive play style for single-player or multiplayer when using multiple systems. Play with the Joy-Con controllers or the Nintendo Switch Pro Controller.